Heat tape, with its flexibility, provides a good means of delivering heat to a wide range of process applications. It can be applied to pipes, vessels, or other objects that need to be heated for any number of reasons. The range of available product materials and watt densities assures that there is a heat tape configuration for almost every application. This video shows how to properly apply and install heat tape to get the best performance and maintain safe operating conditions. Share your process heating requirements of all types with an industrial heating specialist, combining your process knowledge and experience with their product application expertise to develop effective solutions. Inline continuous gas analysis is a necessary tool for effectively tracking emissions of many types. A tunable diode laser (TDL) can provide accurate continuous measurement of target gas concentration. 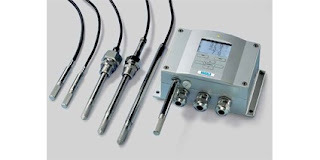 With the proper installation configuration, the instruments exhibit no drift and are not subject to interference, offering a sustainable means of delivering needed process data. Mettler Toledo, with the expansion of their GPro 500 Series of TDL instruments, now provides continuous gas concentration measurement solutions for carbon dioxide, carbon monoxide, oxygen, moisture, hydrogen sulfide, and hydrogen chloride. Varying application conditions can present specific challenges to an effective installation of a TDL, so the GPro 500 is available in variants that accommodate a range of installation conditions. The standard probe is a purged configuration for general use. A non-purged version is suitable for reactor of other vessel installation. Combustion process measurements are handled by the non-purged filter probe, with a sintered filter to prevent dust from entering the measurement cell. High particulate combustion processes can be served by the filtered probe provided with a blow-back port. It allows high pressure instrument air to clean the filter. A wafer version, for tight spaces and pipes, is also available. Two adaptions are also available for use with existing sample conditioning equipment. A retroflector adapter enables a cross-pipe measurement. It is designed to forgo the need for alignment, making installation simple. 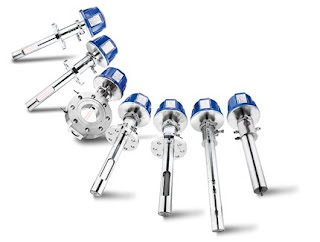 Tunable diode laser gas analyzers provide an effective means of continuous gas concentration measurement for the process industries and combustion operations. Share your process and combustion gas analysis challenges with a product application specialist, combining your own valuable process knowledge and experience with their product application expertise to develop effective solutions. Regardless of what industry you may be operating within, humidity, the moisture content of the air surrounding your work, has some degree of impact. Though that impact may be small enough to currently be ignored, building a basic understanding of the relationship of moisture and dry air, how humidity is measured, and how it can impact your operations will make you a more effective and valuable operator of whatever your process might be. Vaisala, a leader in humidity measurement, has produced a resource in the form of an eBook that breaks down into understandable units various aspects of humidity measurement and the impact of humidity on industrial applications. The eBook contains a basic level of detail, plus provides links to more technical in-depth source material. Everyone should find something of value in the eBook. Share your humidity questions, concerns, and challenges with product application specialists for assistance and cooperation in developing effective solutions. Humidity Measurement Handbook for Manufacturing from Alliance Technical Sales, Inc.